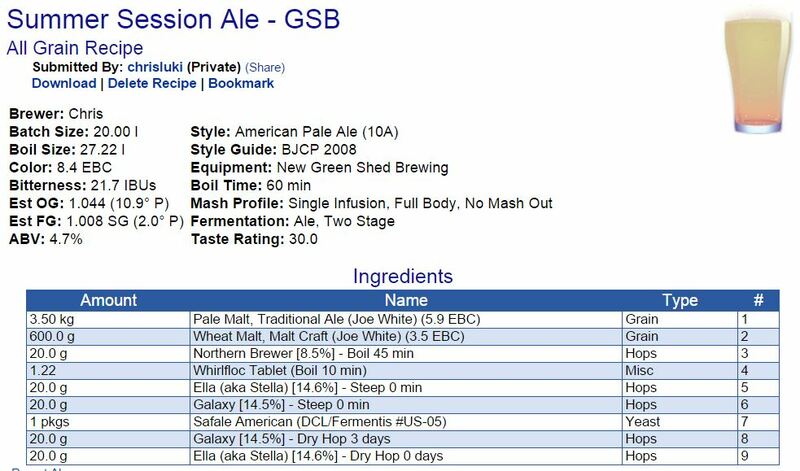 I am not an expert at home brewing, I have only been at it a while…but I have had a few really nice beers, despite some of the technical issues I have had. I have had a few requests for my recipes, so I have decided to post them here…feel free to grab them and share them around. 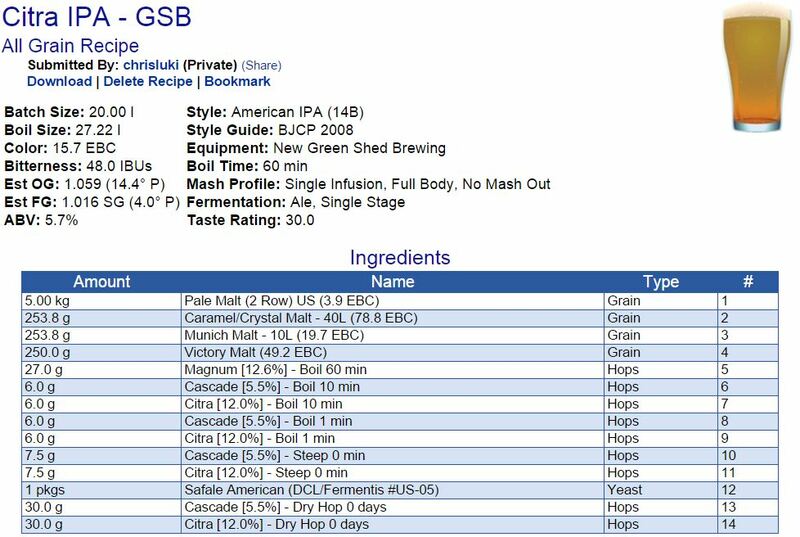 If you use Beersmith (it’s awesome), just email me and I will send you the file, or click on the screenshot under each recipe for the basic ingredients etc. 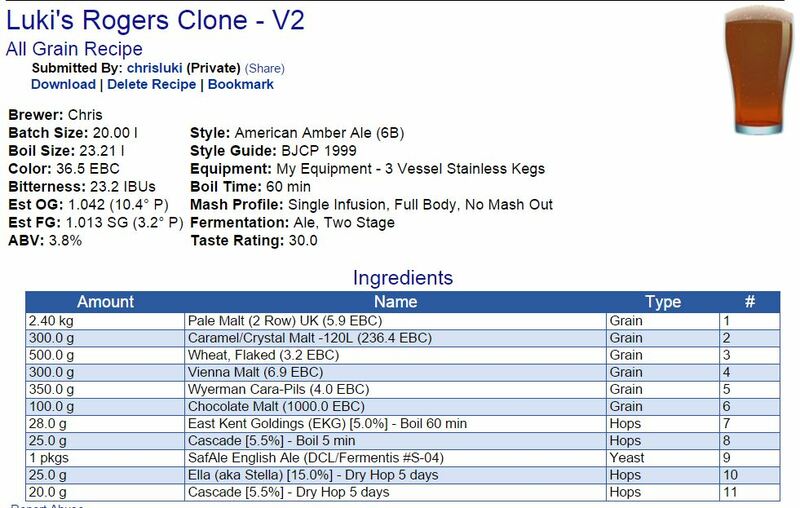 Notes: I love this beer (pictured above) because it is one I can have a few of, but still packs great flavour. The colour is adjusted using brewers caramel, but could just as easily be manipulated with a little more specialty grains. 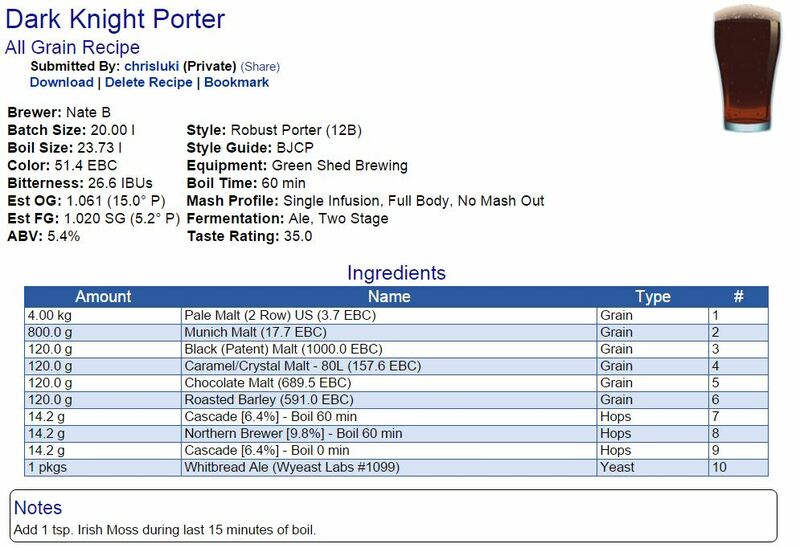 Notes: This is the first brew I did with my Dad, he loves his dark brews. We slightly over carbonated it, then under carbonated it on the second try…third time will b a charm this winter! Notes: Something light and sessionable for the harsh (haha) Tasmanian Summer! 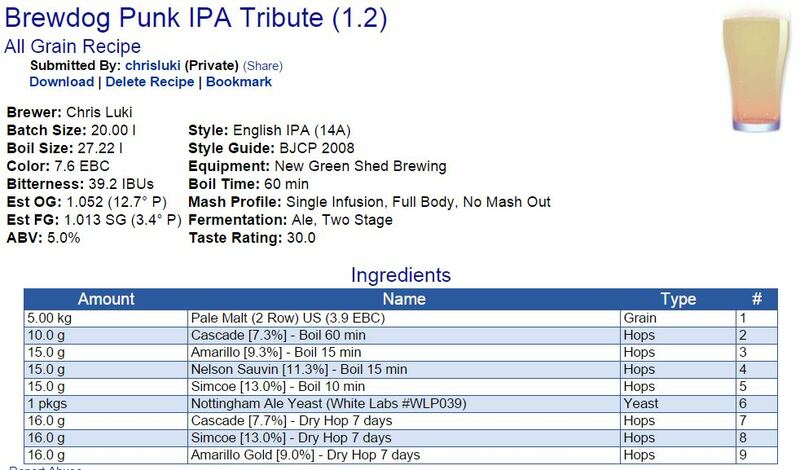 Notes: My tribute to the legends from Brew Dog! 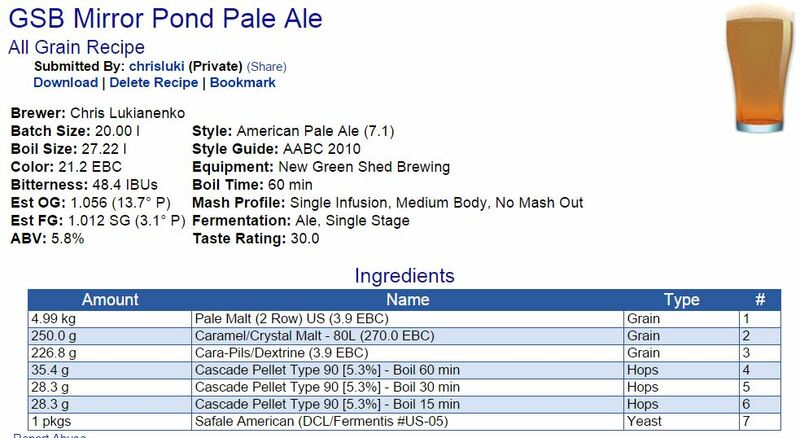 Notes: My tribute to one of my favourite USA breweries, Deschutes, and their cracking APA, Mirror Pond!